SIMPSON were appointed to complete Sweaty Betty’s first store in York. Work included the strip out of existing fixtures and fittings, new floor coverings, installation of new sanitary ware and electrical alterations. Following the initial strip out, internal partitions were installed and decorations were undertaken throughout. 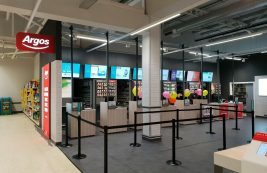 Works were also carried out at the basement level of the store to create a new Yoga studio, with the installation of new MF ceilings and light fittings. Following the successful completion of the York Store, SIMPSON were appointed to work on Sweaty Betty’s Head Office at Cavendish House, London. 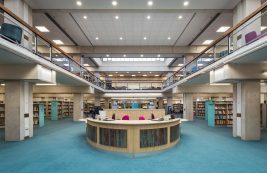 Works included the strip out of, installation of new floor coverings, minor electrical alterations to suit new layout. Internal partitions, redecoration works and basement / car park works for AC condensers were also undertaken. 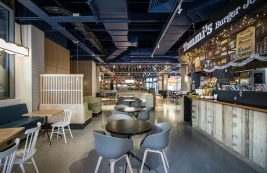 Following the success of the projects, SIMPSON were awarded and recently completed the new Sweaty Betty’s ‘Flag Ship’ store in London’s Kings Cross.